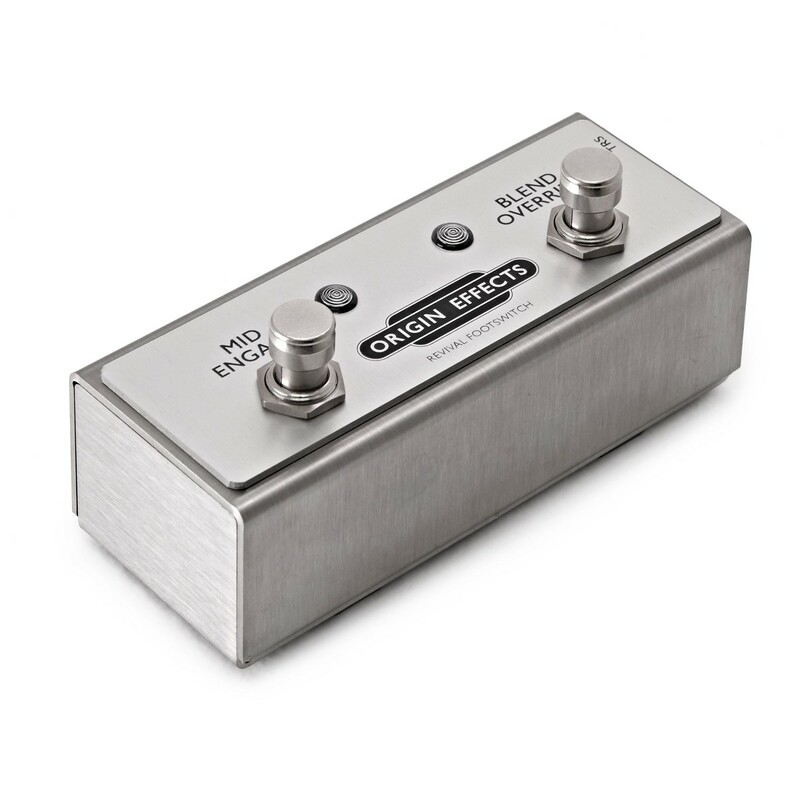 The Origin Effects Revival Footswitch is the perfect addition to the RevivalDrive pedal, offering external control over the overdrive?s functions to expand its performance capabilities. Remotely engage the RevivalDrive's mid boost to add extra punch, allowing the tone to cut through dense mixes ideal for solos and leads. The blend override switch allows players to disengage the RevivalDrive's dry/OD blend control, letting you switch between a low gain tone or a full throttled overdrive sound. 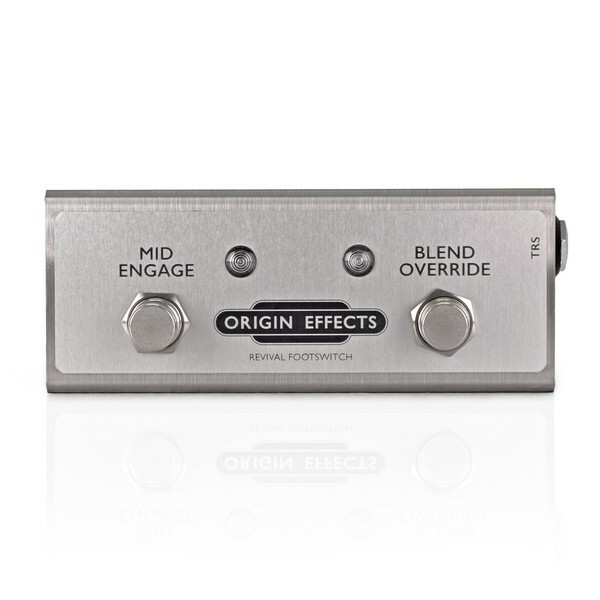 Built in the UK and includes a high-quality TRS cable, the Origin Effects Revival Footswitch is the perfect companion for players wanting more from the Origin Effects' RevivalDrive pedal (sold separately). 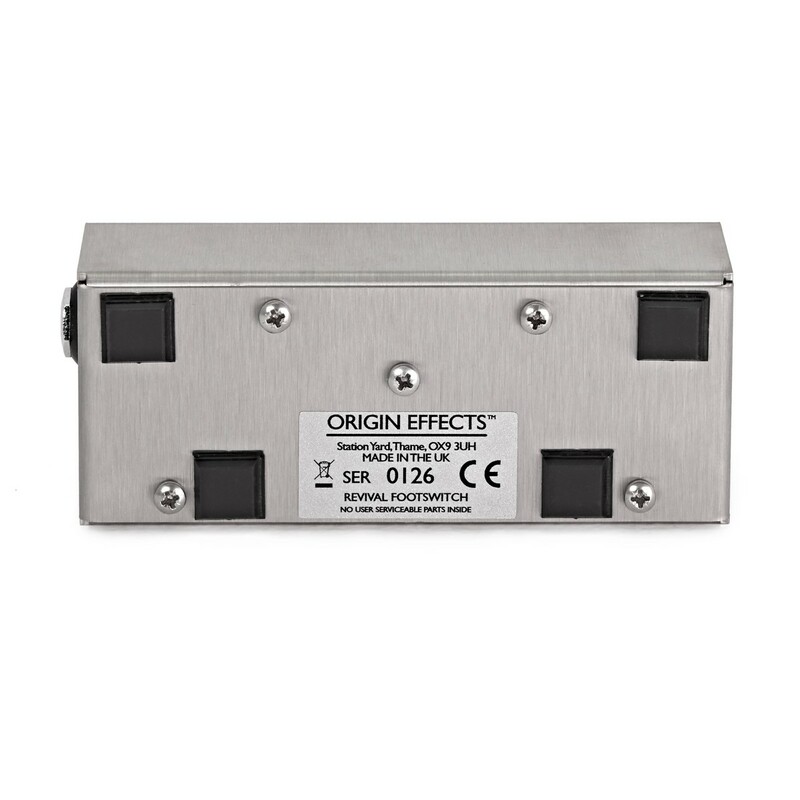 British audio designer Simon Keats started Origin Effects through a genuine desire to produce quality audio tools that he wanted to use. 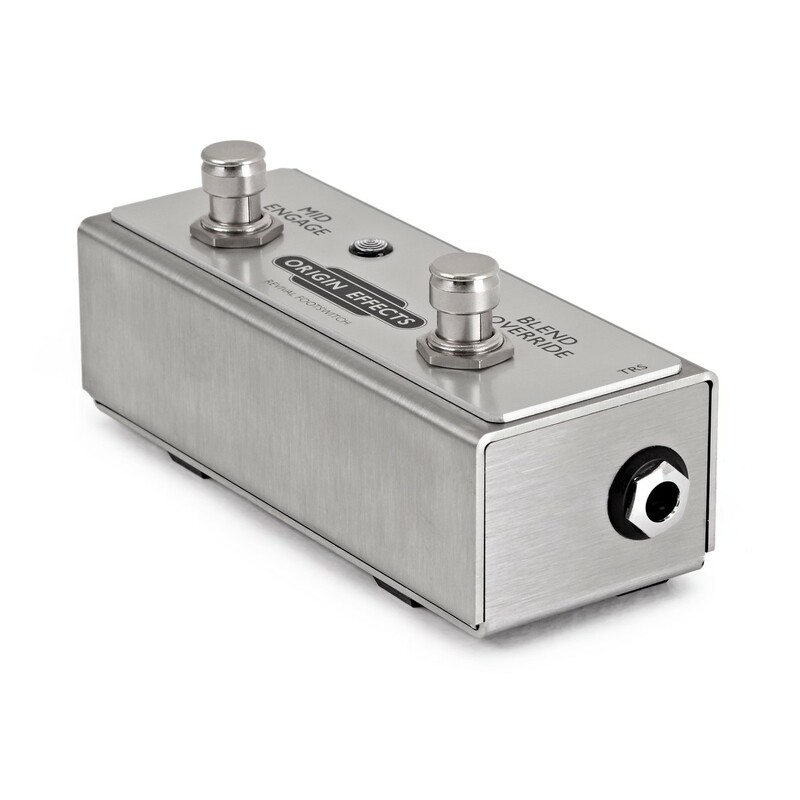 He believes that the tools he creates just won’t be matched by 'off-the-shelf- FX pedals and many modern players would agree. Each pedal is individually hand built, expertly calibrated, assembled, tested, and finished in the UK.